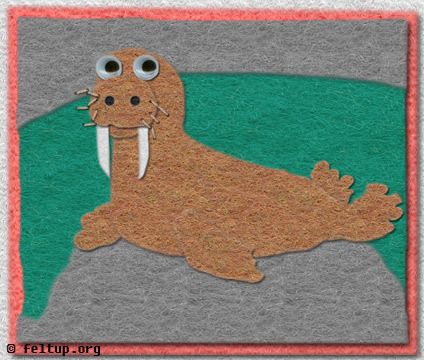 So, I was just thinking about how awesome walruses are. One time I went to the zoo in Cincinnati during the winter. There weren't many exhibits open, but there weren't many people either, which was the best part, because it was like having the whole zoo to myself. The walruses were all hanging out on their fake cement rocks, so I yelled to them "Hey walruses!" and they yelled back "Waaaoouufff!" and they all got up and came over and made funny walrus noises at me. It was awesome. Then I decided it might be fun to go to the zoo and see some walruses again, but I looked on the website and there are no walruses at the Buffalo Zoo, nor are there walruses within a reasonable driving distance.